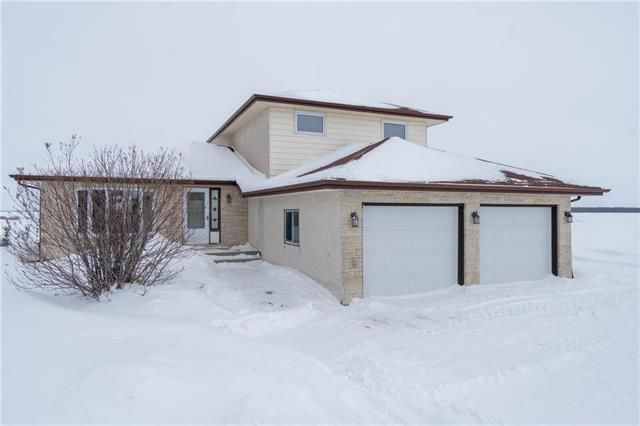 Are you looking for 5 Acres close to Winnipeg?...well here it is! Large Family Home with a Country Kitchen including an Island and some built-ins. The Patio Door off the eating area leads to a Deck that will give you a view that goes for miles and miles. Both a Living and Family Room will give you options. Lovely French Doors lead you to a very sunny Office with doors again leading to the Deck. 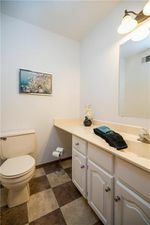 Laundry Room on the Main Floor is convenient, as well as a 2 Piece Bathroom. Upstairs you will find the Master Bedroom with a walk-in closet and a 3 Piece Ensuite, as well as 2 more Bedrooms and a 4 Piece Bathroom. Carpeting along with windows and the furnace have all been upgraded.